Hi guys, today we are going to share an alternative for dry and damaged hair. (see DULL DRY DAMAGED) It goes without saying that we need all the help we can get when it comes to damaged hair and excessive hair fall . Whether it was the harsh chemicals, the frequent heat styling or simply over exposure to the sun, hair fall due to damaged hair is a very common problem we face. In the last version, we focused slightly more to give you a healthier scalp with a mixture of essential oils for hair recovery and healthy hair growth. In today's How To, we'll focus on moisturizing and retaining moisture in each and every strand of hair, for thick and gorgeous hair. This doesn't mean the scalp is neglected! Each and every one of these oils with the fatty acids and vitamins give the same benefit for your scalp as for the hair. Avocado oil is rich in Vitamin B which promotes strong hair growth. Olive oil protects the keratin in hair which are the protein building blocks of every hair strand. 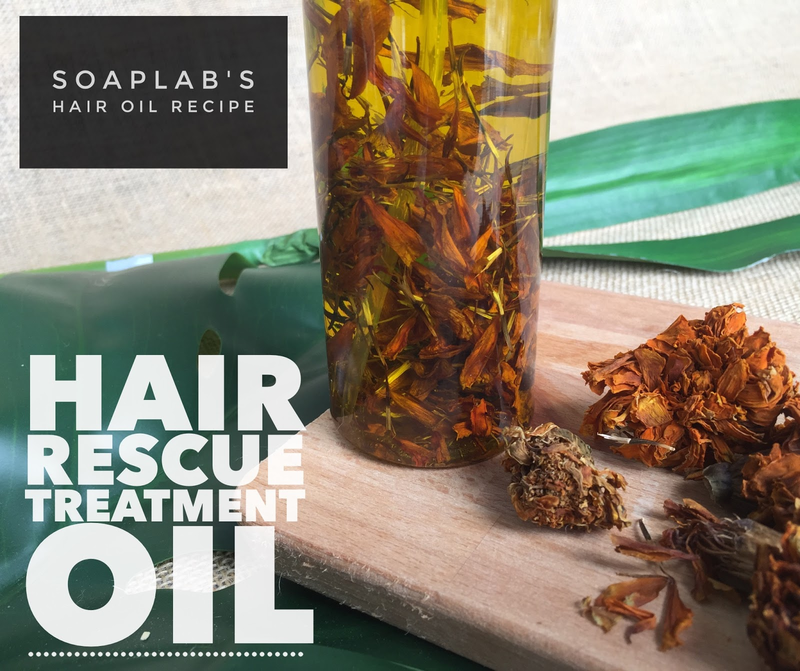 Rose hip and jojoba are both non greasy oils which are rich in fatty acids that strengthen the scalp by renewing scalp tissue. Argan oil promotes scalp health to encourage hair growth. For a good measure, we use dried calendula to ensure that any scalp irritation or inflammation is soothed with its anti inflammatory properties. Of course you're wondering...but nothing in those ingredients smell good! Well we've not forgotten either. We will use one of our favourites, plumeria. It gives just the right balance of tropical and floral that we are sure you will love too!